Hiltingbury Handyman Ltd - Bathrooms, Home Improvements based in Chandlers Ford, Hampshire. 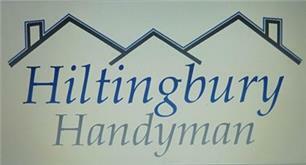 Hiltingbury Handyman is a well established family run business specialising in all types of property maintenance. Having lived locally in Chandlers Ford for most of my life I set the business up to provide a first class & reliable service from start to finish. We can take on most jobs around the house from complete home refurbishment to putting up shelves, so whatever the job give us a call & see if we can help. Bathroom fitting, repair & maintenance. Kitchen fitting, repair & maintenance. General property maintenance & repair. Thanks for reading my Checkatrade page & I look forward to your call.